Honda Navi will be updated soon with CBS to adhere to the upcoming safety regulations. If this is the case, it could be launched very soon. Honda‘s entry-level scooter, Navi has once again tanked in the market. For December 2018, only 1 unit of the scooter was sold all over India. In November 2018, the figure was 0 units. For the past few months, its sales have been down. It last received an update in July 2018, which gave it some styling updates and colour options. Its constant low sales figure has led us to expect that probably, 2019 Honda Navi is coming soon. The existing stock of the scooter might still be in the market with some dealerships. Honda might be waiting to clear the stock first. 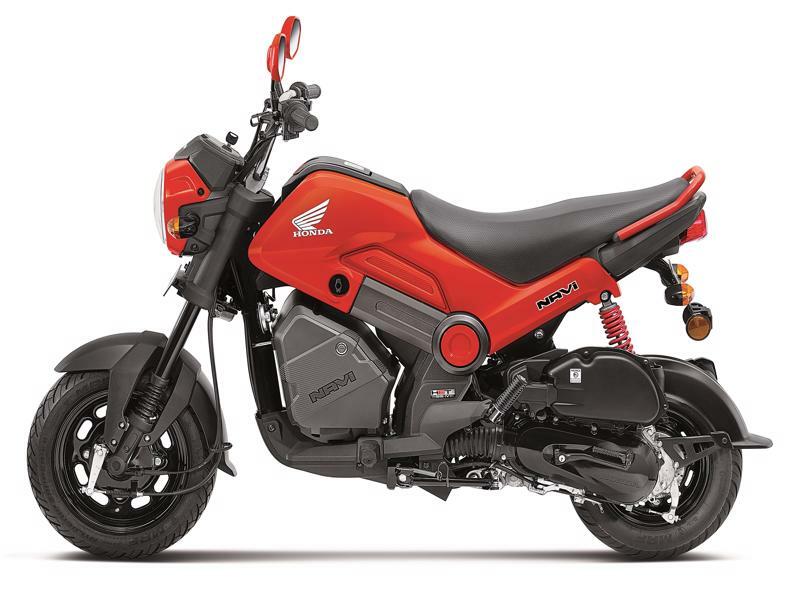 Following the clearance of stock, it might introduce the updated Honda Navi with Combi-Brake System (CBS). As per the upcoming safety rules, all the 2-wheelers under 125cc must be equipped with CBS. Last time during the BS-4 engine situation, a huge stock of Honda Navi with BS-3 engines was unsold. Dealers had to offer huge discounts to clear the existing stock. In order to prevent this, Honda might be playing this technique. Currently, Navi is priced at Rs 45,531 (ex-showroom). The CBS update will increase the prices, probably putting it over Rs 50,000. Honda Navi is based on Activa. The 2019 version could be based on the Activa 5G. Navi uses the Activa’s 110cc engine. The 109cc engine puts out 7.89 BHP and 8.96 Nm of peak torque. It is one of the lightest scooters, with scales tipping at 99kgs. It gets a fuel tank capacity of a mere 3.5 Litres, delivering an estimated riding range of 175-200 kms. Features onboard include a funky speedometer, a fuel indicator, tubeless tires and front telescopic suspension. It is available with many colour options as well as customization packs to chose from. Some of the customization packs include Ranger Green with Graphics, Ladakh Brown with Graphics, Red with Graphics, etc.